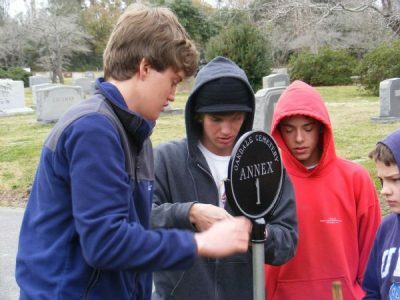 Search our burial database to find friends, family, or historical figures for your guided tour. 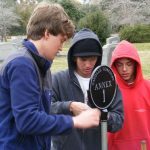 The Friends of Oakdale Cemetery, Inc., was established in 2005 in connection with the 150th anniversary of the opening of Oakdale.Friends of Oakdale Cemetery is a 501(c)(3) non-profit organization, founded to support the Cemetery. Our Vision: One of America’s earliest and most prized 19th Century cemetery gardens. 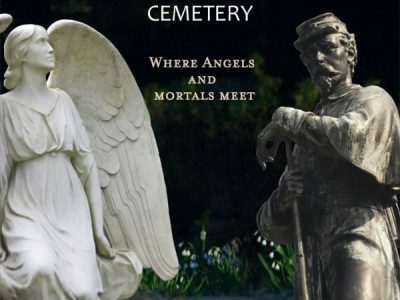 Of Oakdale Cemetery, a 1911 pamphlet stated, “ . . . nature seemed to have molded the ground for that purpose and left it for man to beautify.” If nature’s contribution defines its beauty, the monuments and sculptures contained within enhance Oakdale’s reputation as a place of history and wonder. Ornate inscriptions, stained glass and massive mausolea contrast with simpler monuments and markers, all of which together relate the story of a city and its people. Finely crafted monuments alternate with the flora that tower high above. Oakdale is truly an outdoor museum and arboretum. Still an active cemetery, these hallowed grounds still today offer comfort and inspiration to the living. Oakdale Cemetery was chartered on December 27, 1852 by the General Assembly of North Carolina. The founders purchased 65 acres for $1,100. The acreage now has grown to about 100 acres of natural beauty. Created during the era of the Rural Cemetery Movement in the US, Oakdale was the first in the state, only fitting for the most populous city in the state at the time. It was five blocks beyond the town boundaries.